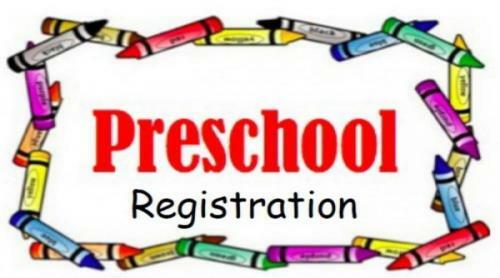 NOW REGISTERING for the 2018 - 2019 Preschool Year. Now in its 36th year, Grace United Methodist Preschool is known for the value it places on each child’s development, founded on sound educational practices and Christian values. Grace United Methodist Preschool has a four star rating from the state of Virginia. Our child/staff ratios are low, and our classrooms encourage positive relationships. We offer varied and stimulating activities, and integrate positive behavior management techniques in our classrooms. Our staff is trained in First Aid and CPR. The preschool supports the individual needs of the children, values parent communication and encourages smooth transitions to kindergarten. The Christian faith is shared in natural ways throughout the day. We have a Children's Chapel twice a month for all classes. Although we do not impose our doctrinal beliefs, it is our goal to help children feel that they are loved by God. A Preschooler's brain growth is 90% complete by age 5. There are milestones they should reach in terms of learning, speaking, acting and play. Grace Preschool recognizes how vital it is that a preschooler receives adequate stimulation and experiences at an early age. We base our instructional program on The Creative Curriculum for Preschool, (Dodge, Colker, Heroman) and Virginia’s Foundation Blocks for Early Learning. These research based curricula integrate appropriate early learning standards with more recent trends in academic content for early learners.